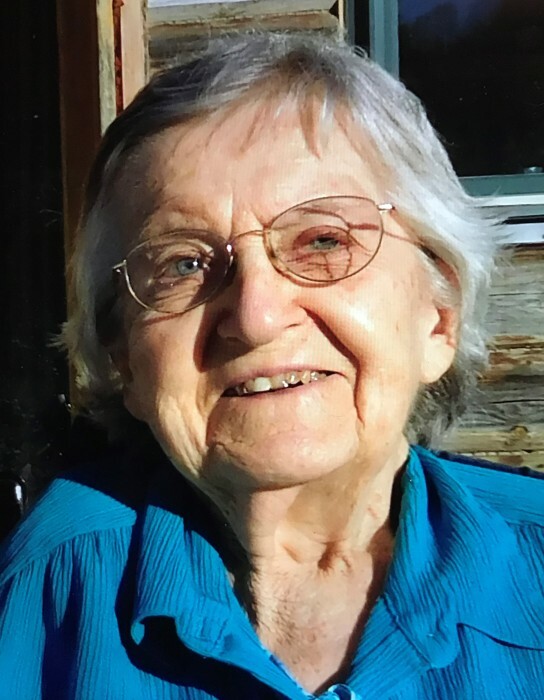 Phyllis M. Hagquist, 93, of Malmo, passed away Friday, April 12, 2019 in Aitkin Health Services, Aitkin. She was born June 30, 1925 in Linton, North Dakota to Ferdinand and Frieda (Berreth) Hetterle. Phyllis grew up on a farm near Temvik and graduated from Temvik High School in North Dakota in 1943 as Valedictorian. She received her Bachelor of Music Degree from the Chicago Conservatory of Music and taught piano in Bismarck, North Dakota for 25 years. She was united in marriage to Dennis Hagquist on October 19, 1969 in Minneapolis. Phyllis and Dennis lived on a small dairy farm near Malmo. They enjoyed driving the countryside also greatly enjoyed their cats, dogs and birds. Phyllis enjoyed telling of the cute tricks they would do. She played piano at church services, weddings and funerals. Phyllis also sewed hundreds of quilt tops for R.S.V.P. and also knitted fleece mittens. Her other hobbies included drawing, painting pictures, reading and making banners and clocks. She and Dennis enjoyed a happy and abundant life and were married 37 years until his accidental death from a tractor roll-over on September 17, 2007. After Dennis passed, Phyllis sold the farm and moved to Maryhill Manor in Aitkin. Phyllis is preceded in death by her husband, Dennis and her parents. Phyllis leaves behind cousins and friends. Services will be Tuesday, April 16, at 11 A.M. in Sorensen-Root-Thompson Funeral Home. Visitation will be 1 hour prior to the service at the funeral home. To sign the guestbook online, go to: www.srtfuneral.com. Arrangements are with Sorensen-Root-Thompson Funeral Home and Cremation Service, Aitkin.